“Evening, morning and noon I cry out in distress, and he hears my voice” (Psalm 55:17). The book of Psalms contains poems that were used in the Israelite’s worship. There were many different types of Psalms, some were sung in thanksgiving for something God had done. Others were sung to remember things from the past. Some Psalms were sung in praise to God for who he is. And then there were the Laments, the darkest of all the Psalms. These songs were sung to express the sorrows and fears of life in this fallen world. The Psalms of Lament are filled with questions. These are not the silly questions we might ask Siri or the how-to questions we might enter in a search engine, but they are the questions of a broken heart. They are the questions of one who is weighed down by the sorrows of this world, by the fears, griefs, and heartaches that we all experience. On this side of the cross, we know that Jesus fulfilled the Psalms, “These are my words that I spoke to you while I was still with you, that everything written about me in the Law of Moses and the Prophets and the Psalms must be fulfilled” (Luke 24:44). 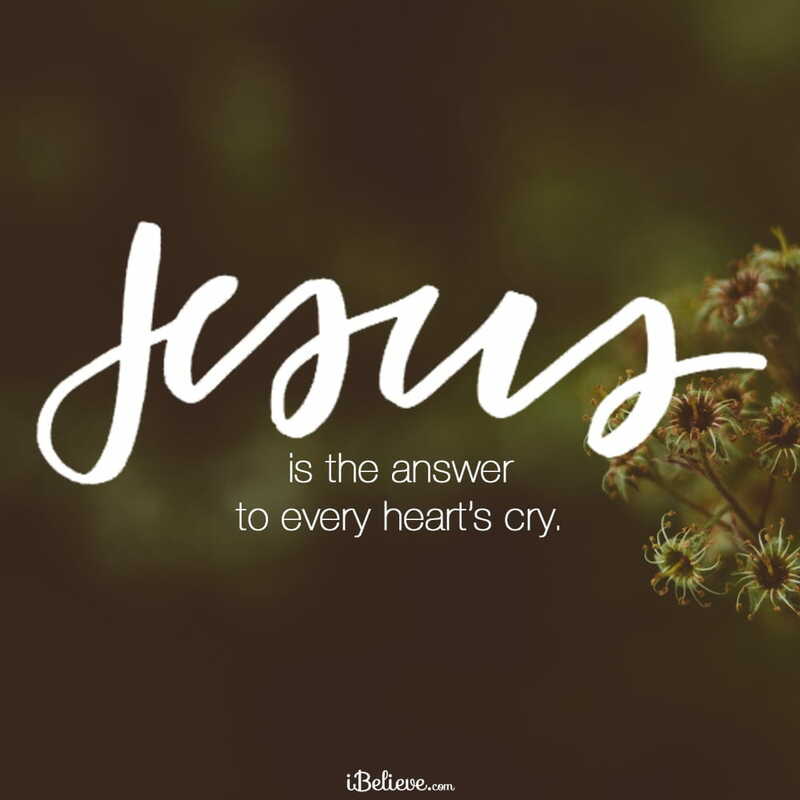 Jesus is the answer to every heart’s cry. He came to rescue and redeem us from our greatest fear and our deepest sorrow—eternal death and separation from God because of our sin. By his perfect life and sacrificial death, he made a way for us to come into God’s presence wrapped in his righteousness. Because of Christ, we can “with confidence draw near to the throne of grace, that we may receive mercy and find grace to help in time of need” (Hebrews 4:16). I come before you today with a heavy heart. Sadness overwhelms me. I feel surrounded by a dense fog that I fear will never lift. Like David, "my tears have been my food day and night" (Psalm 42:3). For however long this season of sorrow lasts, I pray that you would show me more of your love and grace. Help me not to run from whatever you want to do in my heart. Help me to trust that you are at work and to rest in your faithfulness. I want to say along with David, "I will be glad and rejoice in your love, for you saw my affliction and knew the anguish of my soul" (Psalm 31:7). Father, grant me gospel joy; help me to rejoice in Christ even as I grieve. Envelope me with the peace and comfort only you can provide. As the days move into months, may this burden lessen. As the months move to years, use me to encourage and bless someone else who must walk a similar path. Help me to point them to you as the God of all comfort. I know that you are always with me and that your love never ceases. Help me to find refuge in you and nowhere else. Editor’s Note: The following is an abridged version of How to Pray the Psalms for Comfort during Grief by Christina Fox. To read the full article, follow this link. Originally published September 12, 2016.